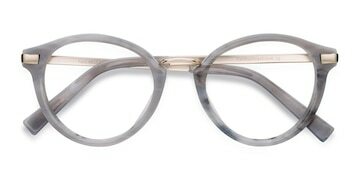 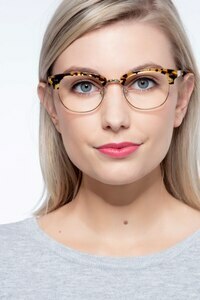 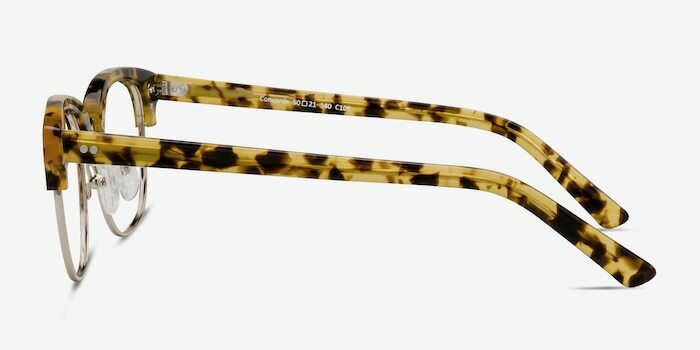 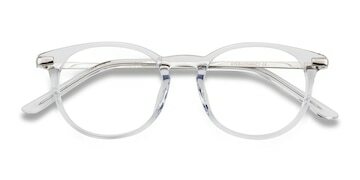 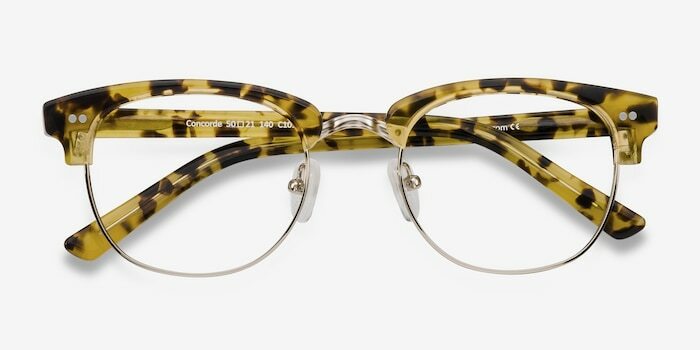 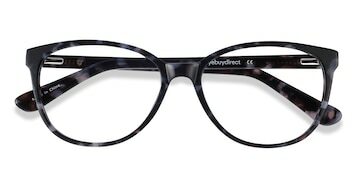 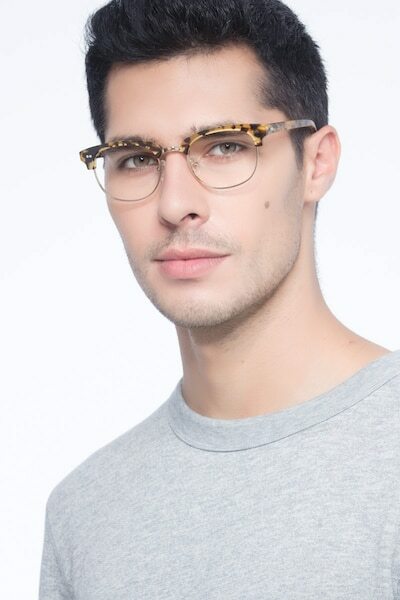 These tortoise eyeglasses are classically retro and cool. 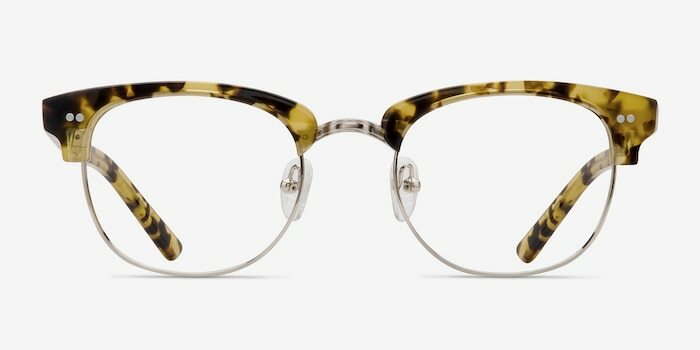 This clubmaster style has an emphasized bold brow line and polished silver rimmed rounded square lenses. 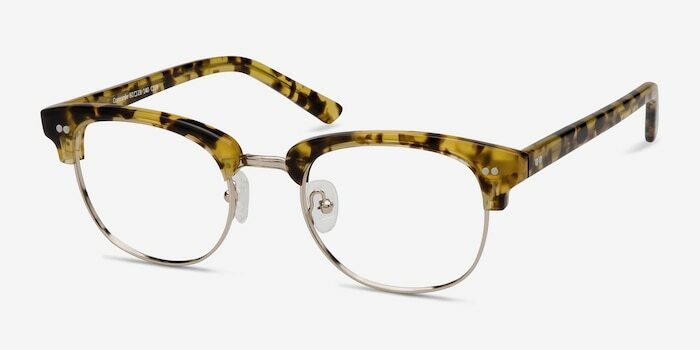 The semi-transparent tortoiseshell finish is accentuated with double stud accents, metal nose bridge, and adjustable nose pads.